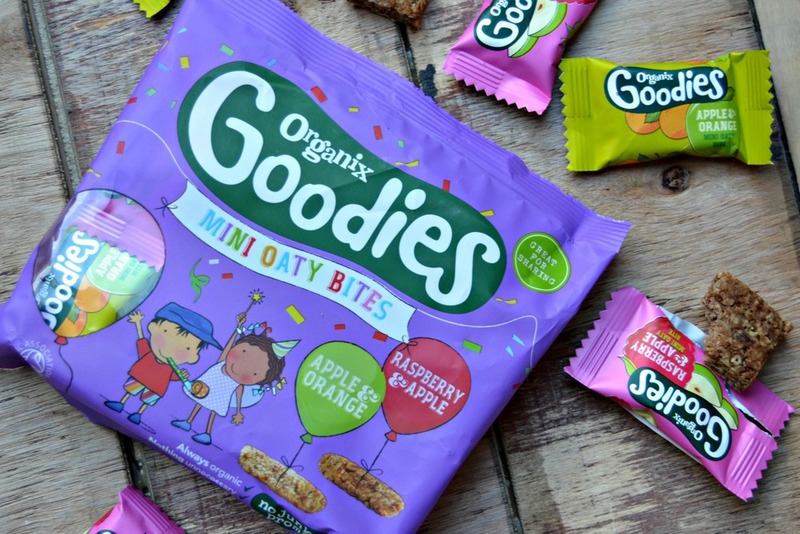 Joshua & Daniel (age 7 & 5) have been testing out the new Organix Goodies snacks - Puffcorn, Crispy Bars, Mini Oaty Bites and Mini Breadsticks. I filmed them trying them for the first time, watch the video to see what they thought. Puffcorn is like popcorn without the hard kernels or sharp shells. Made from baked corn and rice it's light and crispy and available in two flavours - Banana and Cinnamon. They come in individual bags in packs of 4. Verdict: The boys enjoyed the popcorn. Joshua commented that flavours are quite subtle. He preferred the cinnamon flavour while Daniel liked banana. Perfect for munching while watching a film we thought. Crispy bars are made from puffed rice and blended raisins. They look a bit like a rice crispy cake crossed with a cereal bar. They are available in two flavours, Cocoa & Orange and Berry and come in boxes of 6. Verdict: They were a hit - sweet and tangy wth a crispy, chewy texture. You can't taste the raisins in them at all and the texture in quite uniform. Daniel loves the berry bars because they taste like strawberries which he loves. Joshua says the cocoa & orange flavour bars taste like chocolate orange! They're great for lunchboxes or a snack between school and clubs. Mini Oaty Bites are made from raisins and whole grain oats and are available in two flavours - Apple & Orange and Apple & Raspberry. They are bite-sized individually wrapped little squares. Verdict: The boys absolutely loved these. They were crazy about them! Joshua preferred apple & orange while apple & raspberry was Daniels favourite. The oats make them quite filling. The portion sizes were too small for my big boys - they needed two or three each for a substantial snack - but I can see how they would work well for toddlers size wise. They have them in their lunch boxes as a little something extra. Mini Cheese & Chive Breadsticks are basically little bread sticks made with fresh cheese and chives. They are made with oat flour as well as wheat flour. They come in individual bags sold in boxes of 4. Verdict: Daniel wasn't keen on them, chives are not his thing. Joshua loved them (he's big on onions). They're nice and crunchy. Good for lunchboxes and snacks. Overall the boys loved the snacks and so did I because Organix is a brand which I trust. As I talked about here, I'm trying hard to get the kids into healthy food again after a bad patch. I don't have time to make things from scratch all the time, so healthy and tasty products like this are really helpful. Now over to you! 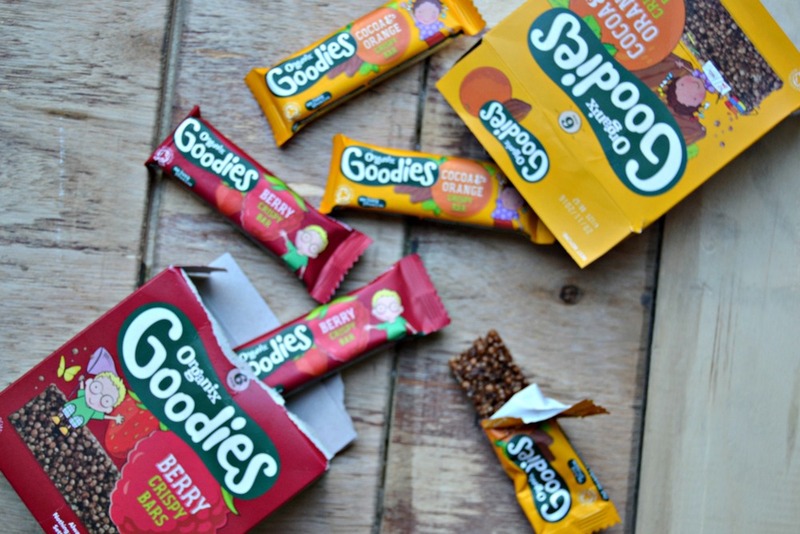 Apart from fruit, you find it hard to find quick, healthy and tasty snacks for your kids? Did you enjoy the video of the boys? They really enjoyed making it! Would you like to see another? Disclosure: This is number four in a series of sponsored posts for Organix. All words, opinions, images and video content are my own.